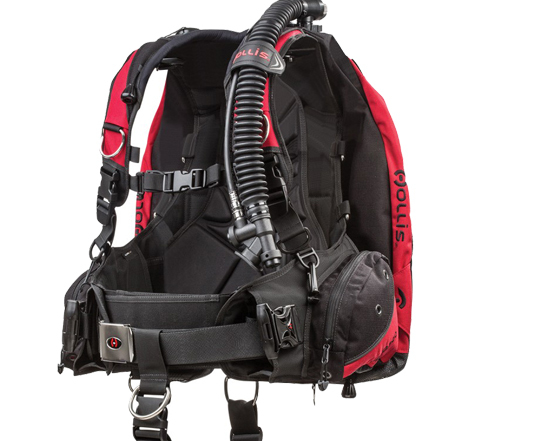 The Hollis HD200 buoyancy compensation system is everything the advanced sport diver could ask for. Earn up to 840 Points. Comfort, function and durability. 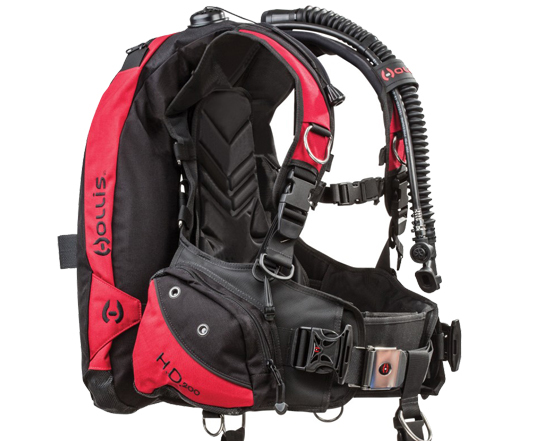 The Hollis HD200 buoyancy compensation system is everything the advanced sport diver could ask for. 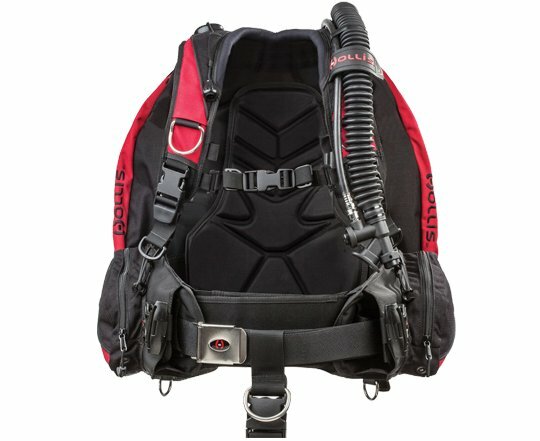 Fitted with a combination of Tech/Rec features and updates that provide ultimate comfort and function. Heavy duty construction and innovative design make this BC the best in class. With a traditional 2″ waist strap and stainless steel buckle, its 2″ nylon waist strap has a quick release buckle and 2″ Stainless Steel d-ring. 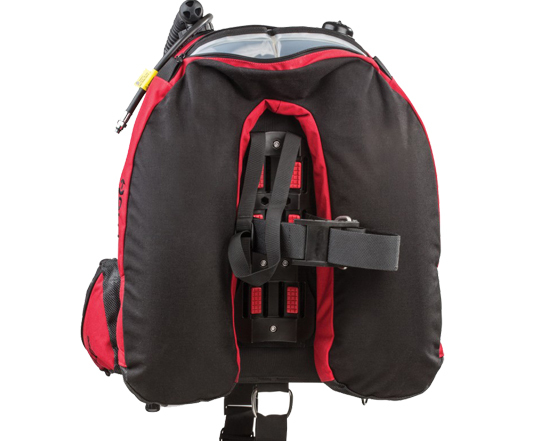 Also offering a new more comfortable moulded back pad and 10lbs pinch & pull weight pockets. 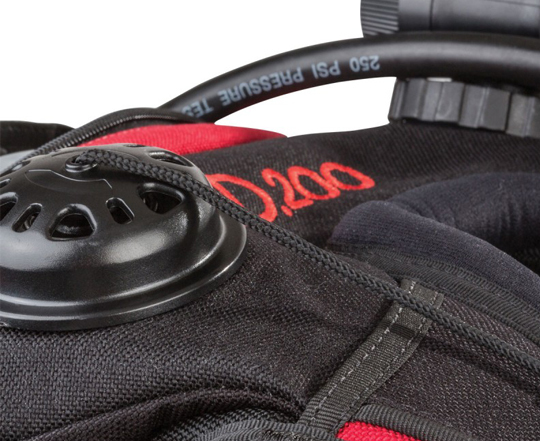 Features include: 1000 denier CorduraTM w/ PU lamination outer shell & 15mm urethane internal bladder, Contoured, lightweight backpack w/back pad, lumbar support, and a rolled neoprene comfort neck,10lb (4.5kg) interchangeable quick release weight pockets with new pinch and pull buckle, 5lbs (2.27kg) non-dumpable rear weight pockets. System weight: 9.4lbs (4.3kg). Small 5'2"-5'7" 120-155 30-40" 30-38"
Medium 5'7"-5'11" 150-185 34-44" 32-40"
Large 5'11"-6'2" 180-210 38-48" 34-42"
X-Large 6'2"-6'5" 195-240 40-50" 38-46"